So Sepp Blatter gets the Fifa presidency again at the tender age of 79. He has been president since 1998, far too long to be in power over one of the most powerful, economy-boosting juggernauts the world has ever known. If a country gets the green light to host the World Cup, the payoffs for that nation are almost incalculable. But only one country at a time can get this massive boost. Any fool can see the probability of big-money corruption in Fifa is extremely likely. Take, for example, a common banking practice. Periodically bank managers are transferred from branch to branch so they cannot get to know their customers too well and thus be tempted with bribes. But in Fifa this sound practice is ignored. Blatter continues to be president among the most staggering scandals, involving what now looks like at least 100 million US dollars, and refuses to be accountable for what his staff have done. This despite calls from a variety of leaders for his resignation. Blatter cannot possibly be entirely ignorant of what his senior officeholders, like Jack Warner, have been quietly shoving into their personal pockets. He is in denial. He deliberately fails to apply the leadership value of taking personal responsibility for one’s people and accepting the fact that under his watch his closest right hand men committed serious crime and that therefore he is not fit for office. Instead, he allows himself to be re-elected. Now on his fifth re-election, he has said, “I am the president now, the president of everybody”. This will probably go down as his most memorable, chilling quote. Sepp Blatter reminds one of long-term dictators of countries where they get re-elected or simply stay in power and elevate themselves to a position where they are beyond responsibility for their actions. One definition of dictatorship is long, tyrannical rule. While Blatter’s rein is not an obvious, or militant tyranny, too much global influence has been put into one person’s hands for far too long, in the “interests” as Blatter will often say, of “world sport” and “fair play”. Fifa, because of its sheer economic clout and its chimera-like nature, is arguably more influential than any country. 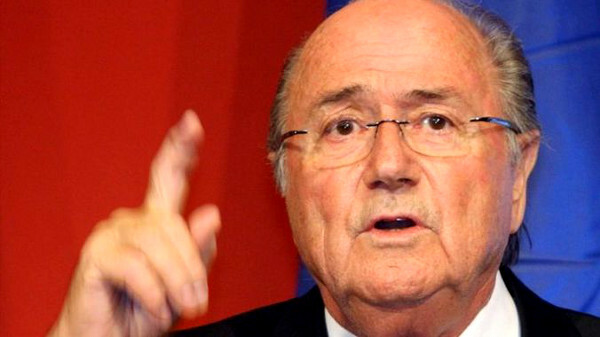 The worry that Blatter, like a dictator, does not have to take personal responsibility reminds one of South Africa. President Jacob Zuma is now above being accountable to the taxpayer for the staggering costs of building Nkandla. To just start a long list, the likes of Schabir Shaik still walk free. Then the sick joke behind Nelson Mandela’s visit to Trinidad and Tobago to woo the Fifa World Cup for South Africa in 2010. One of Mandela’s final great services to his country — or so we would have liked to think. Behind the scenes, unknown — no doubt — to the great man Madiba, were corrupt dealings with SA politicians which run into millions of rands in bribery. In my opinion, the current SA government and their cronies and stakeholders in the private sector get special tutorials from the likes of President Robert Mugabe on how to do serious crime properly, then hide behind great “revolutionary freedom fighter” figures like Mandela. The result is that Mandela, as an icon, has to be the most abused symbol of freedom the world has ever known. All the values Mandela and his comrades stood for, freedom, dignity and democracy, have been followed by scandal after unretributed scandal, corruption after cancerous corruption. Yet … why are we not surprised? This is because, to echo Stephen Grootes, our psyche has become too scarred, too numbed. He writes in the Daily Maverick: “It’s not just that officials had to be bribed; it’s that the World Cup was a chance for us to be a special nation again.” I can only add that this is not only South Africa’s psyche, but the world’s. Nothing really surprises us anymore when it comes to corruption while humble little guys like me and you try and earn an honest wage. People don’t care enough, anymore, to be surprised. Big money corrupts. And absolute money corrupts absolutely.